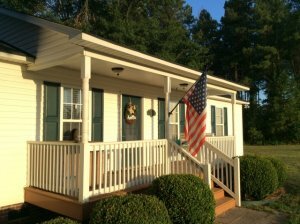 Enjoy country living with the convenience of being just a 25 minute drive to Columbia, Lexington or Orangeburg. Positioned on 1.01 +/- acres with room for a garden or for your children & pets to play. You can entertain your friends on the rear deck and patio area, or relax on the front porch swing. Master Bedroom has walk-in closet, double vanity and tub with separate shower.